The old school theories of the 1990s that it is not good for the bones of children under the age of eight years to do snowboarding have gone rancid. 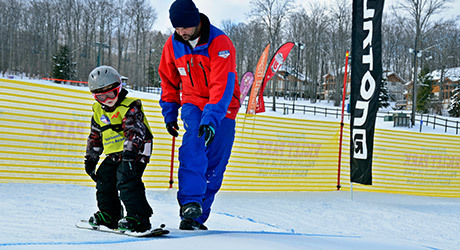 The conception of not letting your child snowboard till he/ she gets to the age of 8 years has been scraped down. Snowboarding has been transformed due to the need for more sales. 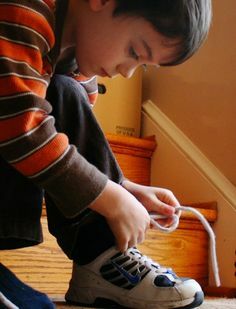 Marketing strategies revolved around making the parents spend money on the needs of their young ones. Hence, some slogans and advertising campaigns changed the perception of snowboarding. It has now become the ultimate adventure activity even for kids less than the age of 8. Early beginners have emerged over the years in huge numbers. Marketing for sales gave the high-spirited kids the fire to begin early. So don’t look shell shocked if you see a kid who usually shies away from reciting his kindergartens poems doing 360-degree flips on the snowboard. Snow can be your child’s best friend or worst enemy. 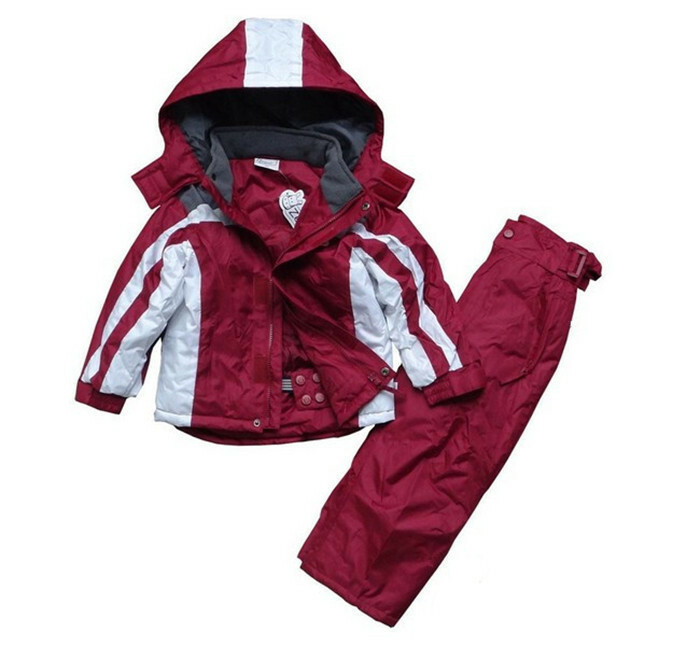 Keep him or her warm enough to bear the minus temperatures and the chilly winds that pierce through the clothes and feel like needles hitting the body. An essential part of snowboarding gear is the helmet. Helmets are mandatory in almost every adventure sports. Here the importance of helmet is the same as that of an eggshell. Head injuries can prove fatal, but a good quality helmet ensures the safety and gives protection from injuries. Picking the right gears is important for an enjoyable and safe snowboarding. While owning the gears can be convenient yet if you are not planning regular or frequent snowboarding you can opt for renting the gears from your local store. Eyes are crucial to almost every activity in life. However, in snowboarding your eyesight can define your life. Hence, buying good quality goggles is highly advisable. Goggles protect your eyes and help you see the obstacles in your path, and you can avoid injuries. Keeping warm and dry is highly stressed, especially when it comes to kids. Children have weak immune system compared to teenagers or adults. Wearing body warmers and layers of woolen can help them in keeping the warmth retained. Waterproof jackets are considered best to be worn while snowboarding. A vital element of snowboarding is the board. It can prove to an uphill task for parents in selecting the board for their child. For beginners, the board that they can maneuver easily can be the right fit. Avoiding boards that can hurt the child can be avoided like the one with a sharp edges. A tutor on an hourly basis can be arranged to give lessons to your kid. A professional can also make you understand in a more informative manner about the precautions and techniques. A professional guidance for an hour is not very expensive. Loose Bindings and shoe laces are the common slip-ups that can cause injury during snowboarding. Skiing like swimming is easier to pick but becoming an expert can take some time. 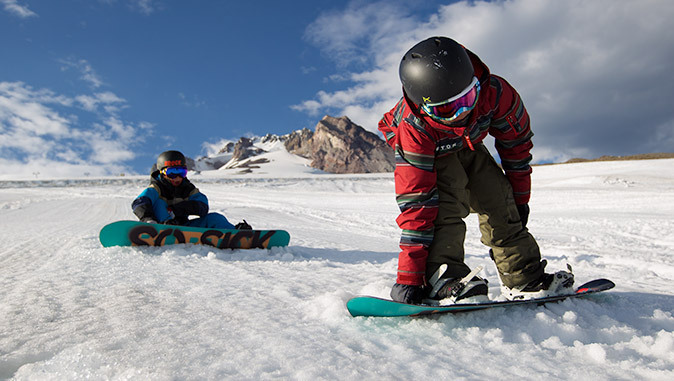 Practice can be the key to mastering the skills and developing their style of snowboarding. Parents can be around to keep an eye on their kids. No matter how spirited are the kids, they may get hurt. First aid kit should be kept handy along with some food. 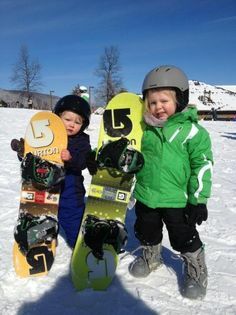 Snowboarding is exhaustive in nature, and children may be hungry after they get tired. Following all necessary precautions is advisable.